It’s time to gear up for one of America’s favorite sporting events! The super bowl! Over the next few weeks I am going to be making and sharing some dishes that are going to be on the table on game night. The super bowl usually falls within a week of my birthday. So assuming its not blizzarding, which it has the last few years, I try to have a shindig for the game. Here is first one up in my series of super sides! I love all things fried, and I love chicken wings. Nothing beats them, besides desserts. They get me doing some heavy breathing and panting… maybe some drool. You know, fat people probs. In my mind doing just buffalo or chicken wings is um…..boring? I like the transformation of finger food, and this one is easy peasy lemon squeezy. I based this off of one I saw in the online. It appears more daunting than it actually is. I always wanted to make wontons, and here was my chance! I gotta say I impressed myself with my folding and sealing skills. These are simple, kids can help and the family can be in the kitchen together, making memories! Rachael hates buffalo sauce, and she even approves! In a stock pot bring water to a boil and add chicken breast. 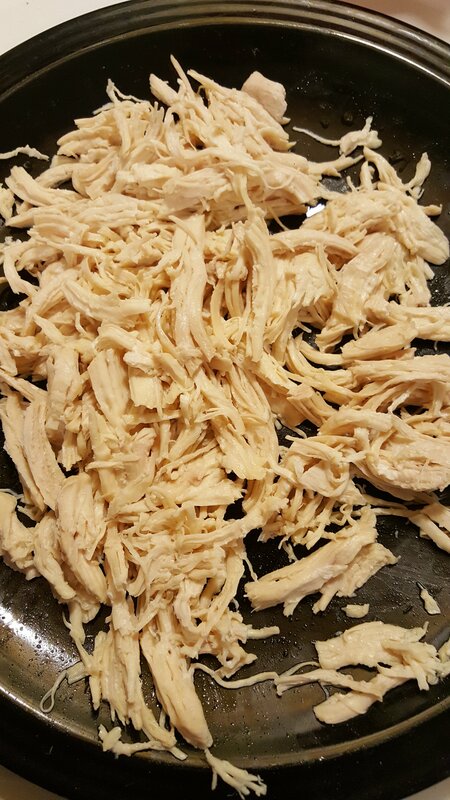 Simmer covered for 15 to 20 minutes until chicken fully cooked through. Remove and shred using a fork(s). 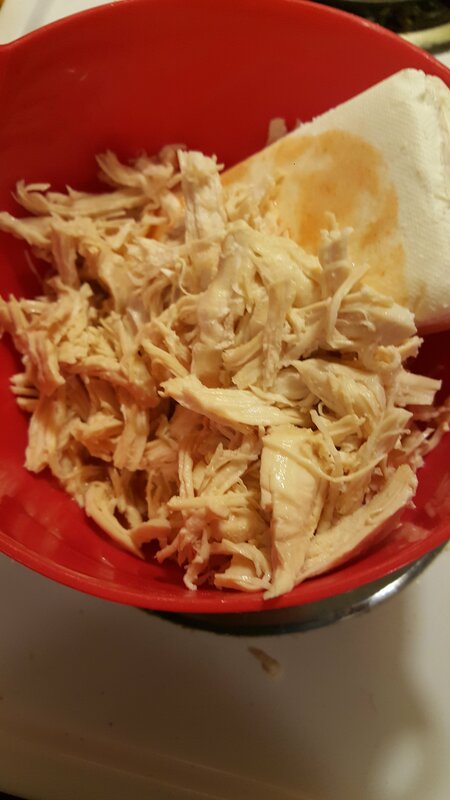 Combine the chicken and remaining ingredients in a bowl. Mix well until fully combined and creamy. 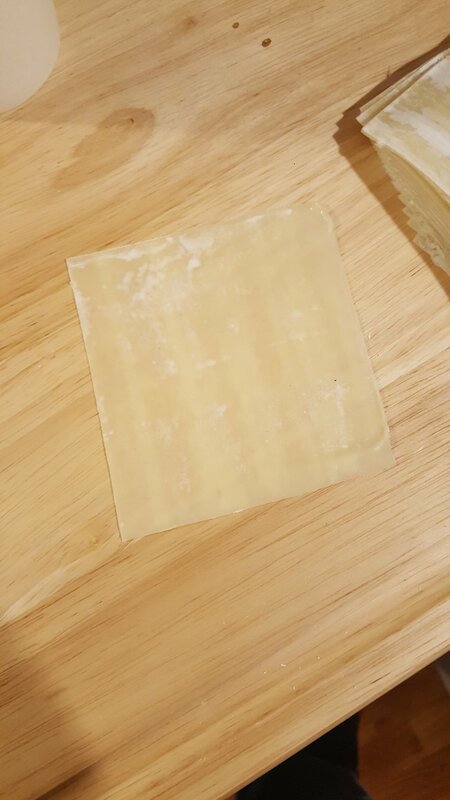 Place a wonton on a flat surface and spoon a heaping tablespoon of the filling in the center. Using your finger, wet all four edges of the wonton with water and fold over into a triangle. Fill a large dutch oven with 1-2 inches of canola or vegetable oil and place on high heat until it temps at 375. Place 5-6 rangoons in the dutch oven at a time, and fry until golden on both sides. They will cook fast, so keep a watchful eye. Place on a paper towel lined plate and allow to slightly cool, then devour.